The fact that proponents of the deal characterized the choices as being between “war” and “peace” helped to get the agreement passed, but it also gave the Iran regime the opening to hold the West linguistic hostages since by framing the agreement in that manner, supporters found themselves beholden to the mullahs in Tehran to the extent no matter what they did, supporters of the deal were going to have to cover for them in order to keep the agreement alive. This leverage cleared the way for the continuing acts of appeasement being afforded to the mullahs in the run up towards implementing the agreement. The perception of needing to keep this deal alive quickly became more important than addressing how much the Iran regime might cheat and what to do in response if the mullahs did cheat. Two recent developments made that appeasement abundantly clear. The first was the completion of a secret side agreement between the Iran regime and the International Atomic Energy Agency, the arm of the United Nations Security Council responsible for inspections and compliance of nuclear issues. 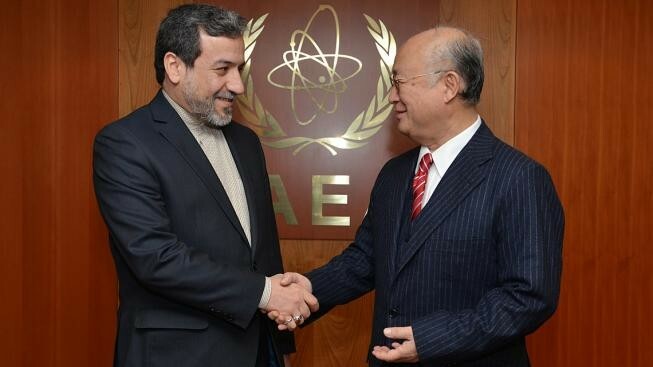 The IAEA has worked for the past decade to gain access to regime nuclear facilities, its scientists and technicians, as well as documentation to ascertain the full scope and nature of Iran’s nuclear program. It has been stymied and stonewalled at every turn by the regime. Beyond the obfuscation by the regime, it is imperative to any future compliance to the nuclear agreement that the IAEA establish a baseline of where Iran’s nuclear program stands. Without it, there is no way to make comparisons to see if the regime is indeed cheating. The IAEA “is committed under the deal to release a report by year-end about the status of Iran’s alleged weaponization work. U.S. officials over the weekend said the IAEA report would have no bearing on moves by the international community to lift sanctions,” according to the Wall Street Journal. The irony here is that the U.S. is basing its decision to move ahead with implementing the agreement with the regime on the findings of the IAEA inquiry, but at the same time is not going to evaluate the veracity of those findings. In essence, the U.S. and other nations will simply shrug and say “we believe you” even if Iran provides no information or complete access as per the agreement. So on December 15th, if the IAEA certifies Iran as being in compliance even though it has no tangible proof the regime is in compliance, the political pressure will be such that the IAEA will rubberstamp the report and allow implementation to move forward. If it wasn’t such a serious issue, it would be Orwellian in nature. The second issue was the recent test firing of a new ballistic missile by the regime which violated a UN ban on development of nuclear-capable ballistic missiles. The ban is tied to the nuclear agreement and sets an eight year ban on ballistic missiles after the agreement is implemented. The U.S., Britain, France and Germany called on UN Security Council’s Iran sanctions committee to take action over the missile test by Tehran. Diplomats have said it was possible for the sanctions committee to blacklist additional Iranian individuals or entities if it determined that the missile launch had breached the U.N. ban. However, they said Russia and China, which have opposed the sanctions on Iran’s missile program, might block any such moves. All of which sets up the most obvious question facing everyone. What if Iran cheats? What should the response be? Even though the U.S. asked the Security Council to take action over the missile test, U.S. officials said in the next breath that the missile test itself didn’t violate the nuclear deal. Let that sink in for a second. We sent a letter calling for action for a violation of the UN ban, but in the same moment said the launch did not violate the nuclear agreement. So we are scolding the mullahs, but also letting them off the hook. It’s a bipolar approach to foreign policy worthy of analysis by a psychiatrist. In both cases, the Iran regime is clearly acting to breach terms of not only the nuclear agreement, but existing sanctions that will remain in effect after the nuclear deal goes into effect and the repercussions of those violations appear to be non-existent or minimal. This does nothing to deter the mullahs and only empowers them into believing they can continue to press their advantage. During the long and contentious negotiations for a nuclear deal between the Iran regime and the P5+1 group of nations, the Iran lobby – led by the National Iranian American Council – was loud and boisterous in its efforts to prop up the regime’s arguments, denounce opponents and defend it as an instrument for positive change. Trita Parsi, head of the NIAC, led the way with a steady stream of media interviews, editorials and even becoming a near permanent fixture in the hotel bars and lobbies in Austria and Switzerland during negotiations. “Once the nuclear deal has been sorted out, the door will be open for greater U.S.-Iran engagement,” he added. Facts on the ground in Syria have proven Parsi to be wrong, if not an outright dissembler of the truth since in the wake of the nuclear agreement, the Iran regime launched a series of new offensives using thousands of fresh troops and forged an alliance with Russia to launch an air campaign that has targeted rebels to the Assad regime, not the ISIS strongholds it claims are its targets. We can only assume that Russian bombardment of Syrian civilians at the behest of Iran’s mullahs is more akin to being bombed by your own government with its blessing according to Parsi’s twisted logic. “What has fueled the Syrian crises more than anything else is the false illusion on all sides that a decisive military victory is around the corner,” he added. Parsi fails to cite that the reason why the Assad regime has been able to stay in power in the face of a peaceful and popular revolt against his rule which later turned bloody and brutal at his hands was the unquestioned and loyal support of the Iran regime. The example set by the Tunisian National Dialogue Quartet’s Nobel win has recharged democracy activists around the region and bolsters hope for the long-suffering members of the Iranian resistance who have peacefully opposed the mullahs in Tehran only to be arrested, imprisoned, tortured and often executed by the regime for simply protesting for basic human rights. It is tragic, but altogether understandable that Parsi and the rest of the NIAC staff have never raised their voices in protest over the brutal suppression aimed at the members of the Iranian resistance, which is viewed harshly by the mullahs because of the simple fact the ordinary Iranians are living examples of the opposition to their rule and proof that their government is illegitimate. Parsi’s contention of a more moderate pathway to regional stability through Tehran has been increasingly taken to task as more commentators see the proof in Iran’s recent actions and increased militarism. “If the past is any guide, highly ideological regimes — see China, Vietnam, the former Soviet Union and Cuba — have proven adept at opening up economically but still retaining authoritarian and repressive control,” said Aaron David Miller, vice president at the Woodrow Wilson Center for Scholars in an editorial in the Wall Street Journal. “Anyone who thinks Iran is on a linear course to moderation ought to lay down until the feeling passes,” Miller said. Similarly, Jennifer Rubin writing in the Washington Post echoed the same thoughts as she praised Sen. Bob Menendez (D-NJ) for being right on Iran’s post-agreement rise in aggression. “Sen. Robert Menendez, stalwart critic of the Iran deal, deserves to say ‘I told you so.’ He had suggested that sanctions would be lifted even without revealing the possible military dimensions of Iran’s program, that the inspection process (including self-selected samples) was nonsensical and that we would embolden Iran in the region to, among other things, further boost characters like Bashar al-Assad. Right on all counts,” Rubin writes. As more thoughtful people recognize the folly of the arguments used by the Iran lobby in defending an indefensible agreement, the people of Syrian are reaping the punishment for allowing the mullahs of Iran a free hand in prosecuting their religious war. With the Iran regime’s all-in move in Syria through the commitment of thousands of additional troops, the loss of top commanders killed in fighting by Syrian rebels and the new alliance with Russia, the mullahs in Tehran have painted themselves into something of a corner. The most obvious price to be paid by the regime will be whether or not a military campaign against the broad coalition of rebels, Islamic groups and secular opponents actually succeeds or fails. If it fails, the price will be extraordinarily high for Tehran. It will deal a crushing blow to the carefully crafted image of military supremacy the regime cultivates and it will send its leadership into an inevitable round of finger pointing and blame. Failure in Syria will also carry a financial price tag since the regime’s previous support in propping up the Assad regime has tallied over $15 billion so far and with the stepped up reinforcements and new offensive, the costs are likely to spiral into the upper atmosphere. Depending on how long the fight takes, that $150 billion the mullahs are eager to get their hands on as the result of the nuclear deal could shrink very quickly. The stakes for the regime are unquestionably high as it has put Maj. Gen. Qasem Soleimani, the leader of its Quds Forces, at the frontlines to direct Shiite forces from three countries including Iraq, Lebanon and Afghan proxies in what is shaping up as a major assault on the rebel stronghold of Aleppo. The fact that Russia has been bombing rebel forces and not areas controlled by ISIS, and that Iran is targeting Aleppo, a strategic economic hub controlled by rebel forces early in the civil war, tells us all we need to know about the priorities of the regime. The fact that Soleimani, who only recently was a frequent visitor to the battlefields in Iraq where victories for the regime grew scarce as the war stagnated, was shifted over to Syria shows the changing priorities of the Iran regime as it struggles to find a military victory anywhere in the conflicts it has started. Just as its fight in Iraq and ground to a halt, the Houthi rebels Iran supports in Yemen have been thrown back under the combined assault of an air and ground campaign backed by Saudi Arabia and other Gulf states. 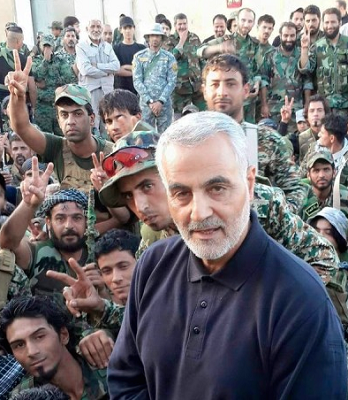 As the fighting in Syria went badly for Iranian-backed forces, the mullahs sent Soleimani to Moscow to beg for Russian intervention and have set up this new offensive as a last-ditch effort to salvage any kind of good military news. Kitaeb Hezbollah, an Iranian-backed Shiite militia designated a terrorist organization by the United States, sent 1,000 troops to Aleppo last weekend, said a senior official with the militia. He spoke on the condition of anonymity, citing orders that the deployment not be made public yet according to the Washington Post. He said the men were part of the group’s elite forces, which have experience from fighting the United States in Iraq. They have done previous rotations in Syria, he said. The rapid ramp up in Iranian aggressiveness with the offensive in Syria, launching of new ballistic missiles and conviction of Washington Post reporter Jason Rezaian have all taken on a certain manic quality as the regime attempts to literally spit out as much vitriol as it can in the shortest amount of time. 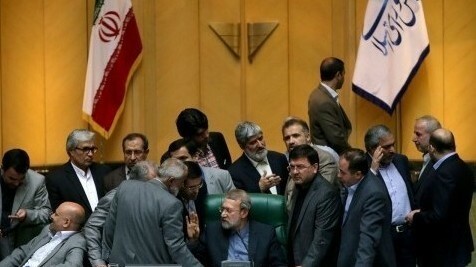 It’s a stunning period of chest beating at a time when the regime would be normally seen celebrating what it touts as a victory in its recently completed nuclear negotiations, but this almost bipolar behavior demonstrates the deep schism in regime politics as the religious forces headed by Ali Khamenei exert their control over the political puppets of leaders such as Hassan Rouhani. In many ways, the militant nature of the regime’s recent actions is a reaffirmation that there are no such a thing as moderates within the Iranian regime. This idea was reinforced when an influential Iranian lawmaker delivered inflammatory new accusations on Monday against Jason Rezaian, The Washington Post’s Tehran reporter convicted of espionage this month, asserting that he had plotted with seditionists. It’s indicative of the deep-seated paranoia that runs throughout the regime’s government and why any agreement negotiated with Iran is doomed to failure as there is very little rational thought within the top ranks of the regime’s leadership. Sunday marked what has been dubbed “Adoption Day” and we’re not talking about lost puppies. This weekend marked the start of the of what the Obama administration and other members of the P5+1 called the start of showing readiness to the Iran regime in lifting economic sanctions that have held the mullahs in Tehran in check for the past decade. This will be followed by “Implementation Day” on December 15 in which the U.S. and its partners will begin the actual process of lifting sanctions against the regime after certification by the International Atomic Energy Agency that the regime has lived up to its commitments to curb its nuclear program. For the Iran regime, Sunday also marks the “put up or shut up” moment for the mullahs in which the regime will have to begin the process of dismantling parts of its nuclear program, including decommissioning nearly 15,000 centrifuges, converting its Arak heavy-water reactor so that it will produce less plutonium and reducing its stockpile of enriched uranium 98%. U.S. officials expect it will take about six months. Ali Akbar Salehi, the head of Iran’s Atomic Energy Organization, told Iranian state television Sunday that the country would begin taking its next steps under the deal—including reducing the number of uranium centrifuges in operation, and removing the reactor core at the Arak facility—in short order, according to the Wall Street Journal. But the real question is will the regime move aggressively forward in order to recoup frozen assets and foreign investments needed to stave off economic disaster from corrupt mismanagement at the hands of the mullahs, or will the regime simply slow walk changes while providing its usual propaganda lip-service, supported by loyal Iran lobbyists such as the National Iranian American Council, and stonewall any real changes? Already we’ve seen efforts by the Obama administration and United Nations to provide some cover for the regime even as the mullahs have undertaken provocative steps in the wake of adopting the nuclear deal. The most notable action has been the military buildup in Syria, including the mobilization and commitment of Iranian troops directly into the fight and coordination in drawing in Russia to fight the fights the Iran regime has been unable to win so far in support of the Assad regime. This has been followed by the reported conviction of Washington Post reporter Jason Rezaian for espionage (ironically announced on the exact same number of days Iran held the 52 American embassy hostages), and the launching of a new ballistic missile design that has been denounced as a violation of UN Security Council resolutions banning the Iran regime from pursuing ballistic missile designs that could be used to deliver nuclear payloads. U.S. Ambassador to the U.N. Samantha Power stopped short of any confrontational rhetoric, affirming Wednesday that the test violated a U.N. Security Council resolution “if the facts are as we believe them to be.” Iran has always considered such resolutions to be invalid and has violated their provisions numerous times since they were adopted in 2010. The Iranian government also denies the ballistic activity violates the Joint Comprehensive Plan of Action, the formal name for the nuclear agreement. The fact that the U.S. recognizes that the regime has already violated the UN agreement, yet opts not to confront the regime is indicative of what lies in store for us as the regime continues to make its aggressive and increasingly desperate moves throughout the Middle East. The regime’s actions are remarkably similar to moves made by North Korea as it first agreed to restrictions on its nuclear program, only to continue advancing it in secret until it tested fully functional nuclear weapons in spite of successive efforts to sanction North Korea after the fact with no effect. 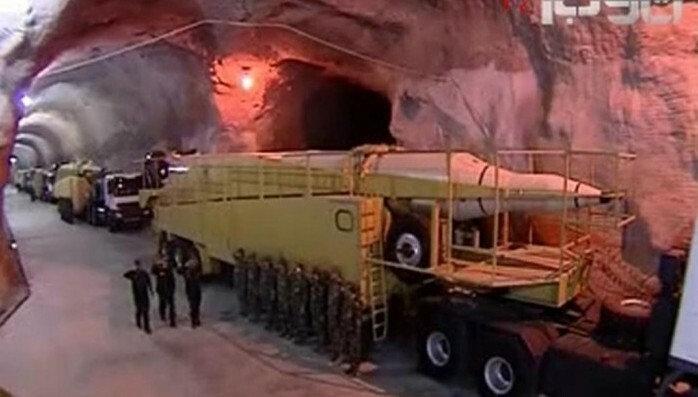 The mullahs in Tehran have watched and learned what Pyongyang did in steering tis nuclear program past international sanctions, which may be why Iran unveiled to the world video of once-secret underground missile bunkers where it stored its arsenal of mobile missile launchers. The most significant aspects of the revelation by the regime are that: a) no one knew about these secret bunkers; and b) that the bunkers hint at the size and scale of secret military facilities that have hardened against attack by being buried as much as 500 meters under a mountain range. Why this is important is that it basically invalidates significant sections of the nuclear agreement dealing with limited inspections only of “known” facilities and not allowing inspections of military sites. It also puts into proper perspective the nefarious nature of the regime as it hides most aspects of its military capabilities. According to the Daily Beast, “while details about the alleged 500-meters-down subterranean base are few and difficult to confirm, the bunker and others like it could upset the delicate military balance between the United States and Iran as the two countries move forward on an agreement to limit Tehran’s nuclear program in exchange for a gradual easing of economic and military sanctions targeting the Islamic regime. “That’s because any facility a quarter mile below ground is way too deep for America’s existing bunker-busting bombs to directly destroy in the event Iran reneges on the nuke deal and tries to put atomic warheads on its long-range rockets,” the Daily Beast reported. Then again, given the regime’s penchant for hyperbole, bluster and outright fabrication in order to make itself seem more militarily formidable than it really is, all of this could simply be fakery. That begs the question of whether or not the U.S. and its allies should be making the $150 billion bet that the regime is a sheep in wolves’ clothing. The people that know the regime best, the dissidents and members of the resistance movement worldwide, should be the ones we should be taking our cues from and in their view, the nuclear deal has only emboldened the Iran regime in its march towards oppression. “This agreement could be the key that unlocks solutions to some of the most intractable conflicts in the Middle East. The region suffers from a diplomacy deficit and the nuclear deal paves the way for an increase in dialogue and diplomacy on a whole set of issues – which is critical for stability in the Middle East,” said Trita Parsi, head of the National Iranian American Council, August 27, 2015. “Iran has sent hundreds of troops into northern and central Syria in the first such open deployment in the country’s civil war, joining fighters from its Lebanese ally Hezbollah in an offensive against rebels and taking advantage of cover from Russia’s air campaign, a regional official and Syrian activists said Wednesday. “Their arrival is almost certain to fuel a civil war in Syria which has already claimed the lives of more than 250,000 people and displaced half of the country’s population. It also highlights the far-reaching goals of Russia’s military involvement in Syria,” from the Associated Press, October 14, 2015. You have to admire the chutzpah of Trita Parsi to shovel the kind of fragrant stuff he does only to be proven wrong time and time again, which begs the question of why anyone ever listens to him. As the AP reports that upwards of 1,500 Iranian regime fighters begin arriving in Damascus, the picture in Syria is becoming increasingly bleak as combatants from Iran, Syria, Russia, Turkey, Iraq, Afghanistan, Lebanon, Jordan, Egypt, U.S. and pretty much from every country in the European Union now rush in for what promises to be the start of a new phase of bloody sectarian conflict. What is even more impressive about Parsi’s comment only two months ago was that he held out the promise of diplomacy when the Iran regime in fact had absolutely no interest in diplomacy. Instead, the mullahs are committed to a path of military conquest in an all-or-nothing scenario. Whether intentionally or not, Syria has quickly shaped up to becomes the ultimate bellwether of the ability of the Iran regime to stay alive because of Assad falls, Russia is likely to take a dim view of Iranian promises since Syria contains the only naval base Russia has in the Mediterranean. The loss of Syria would also prove conclusively the mullahs have no ability to expand their dominion beyond using the kinds of terror tactics it has relied on for the past three decades. The buildup comes as Iranian Deputy Foreign Minister, Hossein Amir Abdollahian said on Tuesday that Tehran was working with Russia on drafting a peace plan for Syria. But Western powers, and many countries in the Middle East, say Assad must go as a precondition for peace. Some peace plan, it just requires thousands of Iranian troops to make it work. “Events in Syria have, however, distracted attention away from Iran’s activities elsewhere in the region. Recently the Iranians were caught supplying weapons to Houthis rebels in Yemen, something Iran has long denied doing. 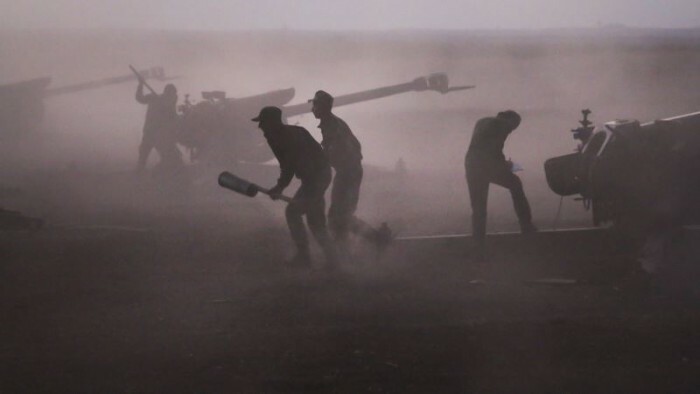 Meanwhile, as a new report for The Henry Jackson Society: ‘Tehran’s Servants’ by Jonathan Spyer demonstrates, Iran has taken control of a vast force of Shia militias in Iraq that are now dominating much of the country. Western leaders may welcome these activities for helping to drive back IS, but no one should be under any illusions about just how extreme these Iranian-backed militias really are,” Watson writes. “A glance across what is already a very troubled region endlessly turns up signs of Iranian involvement. Tehran has exploited the turmoil to advance its own hegemonic ambitions. It is doing exactly the same with the void left by Obama’s retreat from the world stage. Even as the Iranians look set to adopt the nuclear agreement, the Islamic Republic’s actual conduct rather suggests that the regime in Iran remains far from being a friendly or benign force in the world,” he added. But why the rush by the regime in so many places around the world at once? The answer is simple: time is the enemy of the mullahs. A presidential race in the U.S. will usher in what will most likely be a new president un-beholden to the nuclear agreement, and a new Congress eager to pass more sanction legislation against the regime on the wave of American public opinion polls showing vast dissatisfaction with Iran. Military moves made by the regime have backfired in Syria, Iraq and Yemen and seen their allies in Hezbollah, Houthis and Shiite militias stall and even retreat from gains made earlier this year. Ali Khamenei’s advanced age and recent health problems add to the uncertainty as does the surge in anti-regime protests that have now stretched into their third year and reveal a vast amount of discontent within the Iranian people. The mullahs are on the clock and the big push in Syria is their wild last attempt to push all their chips on the table in a desperate bid to hang on. Now if only Trita Parsi would tell us the offensive is just a new form of diplomacy then the cha rade would be complete. How much of a threat is the Iran regime to the world? It’s a question that has preoccupied everyone from American congressmen to Saudi royalty to Sunni tribal leaders to Turkish newspapers. It’s a question that lies at the heart of policy discussions ranging from imposing economic sanctions to approving a nuclear agreement to opening up free trade. In many ways, the regime represents a clear and present danger, especially to its neighbors. Syria, Iraq and Yemen have already felt the brunt of Iranian regime’s involvement in supporting terrorist groups operating within their borders as in the case of Hezbollah in Syria, and sponsorship of proxies fighting sectarian wars such as Shiite militias in Iraq and Houthi rebels in Yemen. The regime also represents a significant threat in terms of its potential for causing more chaos, including the ongoing development of advanced ballistic missiles and the ability to acquire new military technology such as satellites, fighter jets and anti-aircraft missile batteries from Russia. 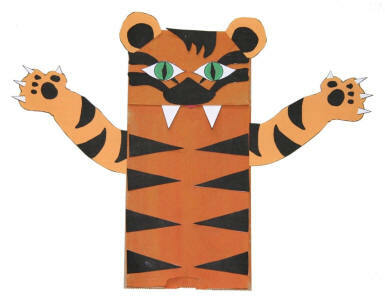 But is the Iran regime really more like a paper tiger, painted over in fierce colors, but fragile and capable of collapsing utterly in a strong wind? Take the civil war in Syria for example. The mullahs in Tehran moved quickly to bolster support for the Assad regime in the face of democracy protests that quickly escalated to armed conflict. It did so through its reliable terrorist partners in Hezbollah and through use of its own Quds Forces in supporting the Syrian Army. Even after Assad was internationally condemned for using chemical weapons on his own people, the Iran regime stood firm in supporting him and worked out a deal with Russia to help shield Assad as long as he gave up chemical weapons, which many outside observers claim he did, but only in part. The Iran regime dipped deep into financial reserves to support the war effort, estimated at over $15 billion annually, a massive drain on the regime’s economy at the same time the global price of petroleum plummeted putting even more pressure on the mullahs. As Ali Khamenei, the regime’s top mullah, ordered a “war economy” be imposed on the Iranian people, the first signs of economic dissent crept in with mass protests amongst underpaid teachers, small business owners and workers erupted in various parts of Iran. Despite all of the support the Iran regime was providing Assad, the multitude of opponents, ranging from the religious extremists such as ISIS and terror groups such as Al-Qaeda to moderate backed secularists such as the Free Syrian Army, made substantial gains against Syrian and Iranian forces. The gains were so significant and threatening to the Assad regime that Iran’s Quds Force commander, Maj. Gen. Qassem Soleimani, took a clandestine mission to Moscow to brief Russian leaders on the gravity of the situation and beg for Russian assistance in staving off an imminent disaster. Since the Russians agreed and have launched a major air campaign and placed boots on the ground, a new chorus of discontent has arisen from the Syrian people and within the ranks of the Syrian military who are chafing under the virtual “Iranianization” of their country and military as the Iranian military has taken over almost all combat and control mechanisms and set up joint intelligence and command centers with Russia in Damascus and Baghdad. But the regime is not impervious to losses as several notable and high ranking Iran regime military commanders have been killed on the Syrian battlefield recently including 67 year old Islamic Revolutionary Guard Corps (IRGC) Brigadier General, Hossein Hamedani. “With the loss of Hamedani came the loss of a major leadership element within the IRGC, one Tehran will not likely be able to regain. Still, Hamedani was not the last IRGC commander to have met his end in Syria in the past few days. On October 12th, two more IRGC Brigadier Generals were slain. Farshid Hasounizadeh and Hamid Mukhtarband, both were former commanders of the Sabreen and 1 Brigades, respectively,” said The Daily Beast. The loss of these key regime commanders, the growing resentment among the Syrian military and people, coupled with the need for a Hail Mary intervention by the Russians all point to the floundering nature of the Iran regime’s Syrian enterprise. The fortunes of the regime in Yemen, where Houthi rebels have been pushed back by a coalition of loyalist Yemen forces and Saudi and Gulf state militaries to such an extent that Yemen’s former government is slowly returning to normality. Similarly in Iraq, the failed efforts by the regime to control former Prime Minister Nouri al-Maliki only led to the spawning of ISIS. Couple that with the scores of almost comical announcements made breathlessly by regime-controlled media about some military advance such as the development of a new advanced torpedo system, sinking of a replica American aircraft carrier, unveiling of a new missile, all of which have come with a splash, but have proven to be more illusory than practical. The real test for the mullahs and regime comes this Sunday which will be the “adoption day” for the nuclear agreement and marks the point where the regime must begin the process to dismantle its nuclear infrastructure, including the removal of 14,000 centrifuges from Natanz and Fordow facilities, getting rid of 12,000 kilograms of low-enriched uranium and removing the core of the Arak nuclear reactor. Even though the agreement is badly flawed, the regime will have to demonstrate its compliance on these areas or face a reversal of the gains its lobbyist forces have achieved. In many ways, Sunday marks the “put up or shut up” phase for the regime. The mullahs may now be facing a point where they may regret what they have so eagerly sought in this nuclear deal. 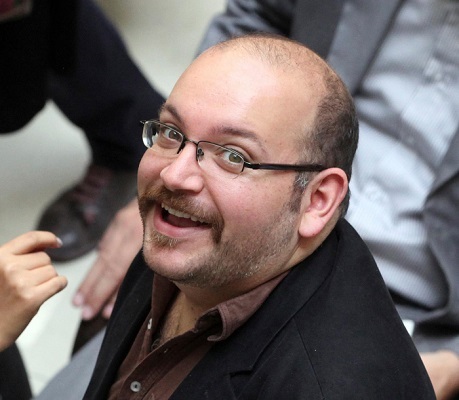 News media and journalists around the world have reacted strongly to the announcement that Washington Post reporter Jason Rezaian had been convicted in an espionage trial after 14 months of imprisonment. The verdict from the Revolutionary Court was reported through regime state television, but not the specific decision even though the trial ended in August. Depending on which charges he was convicted on, Rezaian could face upwards of 20 more years in prison. “Iran has behaved unconscionably throughout this case, but never more so than with this indefensible decision by a Revolutionary Court to convict an innocent journalist of serious crimes after a proceeding that unfolded in secret, with no evidence whatsoever of any wrongdoing,” said Martin Baron, executive editor of the Post, in a statement. Ironically, on October 10, Rezaian passed the dubious milestone of having been locked up in Iran longer than the original 52 American embassy hostages three decades ago. Rezaian’s case, as well as the plight of other Americans being held in Iranian regime’s prisons; including Amir Hekmati, a former U.S. Marine, and Saeed Abedini, a Christian pastor, are defining signposts of how the Iran regime’s leadership acts, plans, thinks and executes its national policy. They have become unfortunate pawns in a much larger game the mullahs have been playing at for the past three decades. Abedini of Boise, Idaho, was imprisoned for organizing home churches. Hekmati of Flint, Mich., has spent four years in prison since his arrest during a visit to see his grandmother. Rezaian was accused by the regime of providing information on Iranian companies and individuals violating economic sanctions and thereby providing intelligence to regime foes. These higher profile victims share a similar fate as countless thousands of other Iranians who have been arrested, tortured, falsely imprisoned and often publicly executed as the regime seeks to stamp out dissent, curb free speech and hang onto people to be used as bargaining chips should it need them. In the case of the Americans, Hassan Rouhani, the regime’s handpicked leader, openly floated the idea of prisoner swaps with the Americans exchanged for up to 19 Iranian agents convicted of trafficking in arms and smuggling nuclear components for the regime’s nuclear program. In many ways though, approval the nuclear agreement may have inadvertently sunk hopes of getting these Americans released since the mullahs perceive they got what they originally wanted in the potential lifting of economic sanctions, which raises the question of why would the regime double down and sentence Rezaian when there would be no clear political reason to? The conviction certainly disproves the idea – long floated by Iran lobbyists such as the National Iranian American Council – that supporting the nuclear deal would empower so-called “moderates” within the Iranian government. If anything, this conviction demonstrates that Ali Khamenei, to whom the courts answer to, is still firmly in charge of the regime’s policies. What all of this tells us is that the Iran regime leadership does not value human life, other than to use it as a commodity. It tells us the judicial system is controlled and used for political and religious purposes. It tells us there is always linkage in the mullahs’ mindset and willingness to traffic in human life. The regime shows us every day examples that it views international law and norms with contempt, be it the brutal treatment of its people or the almost daily threats its generals and leaders make against the U.S. and other nations and neighbors. Alireza Tangsiri, a Revolutionary Guard Corps lieutenant commander, said that suicide bombers are on stand by and ready to “blow up themselves” to “destroy the U.S. warships,” according to remarks made Monday in Iran’s state-controlled Fars News Agency. “They [the U.S.] have tested us once and if necessary, there are people who will blow up themselves with ammunitions to destroy the U.S. warships,” Tangsiri was quoted as saying. He added that if the United States takes any hostile action against Iran, the country’s military forces would pursue the Americans into the Gulf of Mexico. “I declare now that if the enemy wants to spark a war against Iran, we will chase them even to the Gulf of Mexico and we will (certainly) do it,” he said. The threats come a day after Iran test fired ballistic missiles in the region, in a potential violation of international agreements barring such activity. That missile, the Emad or “Pillar,” is designed to evade missile defenses and is supposedly much more accurate than previous missile designs, putting neighbors such as Saudi Arabia, Turkey, Egypt and even Southern Europe within range. While execution of Iranians under Rouhani’s watch is surging, it is more obvious now that despite the Iran Lobby’s pitch, mullahs ruling Iran, emboldened by the concessions received as a result of the flawed Iran deal, are now more of a threat to the international community than ever before. 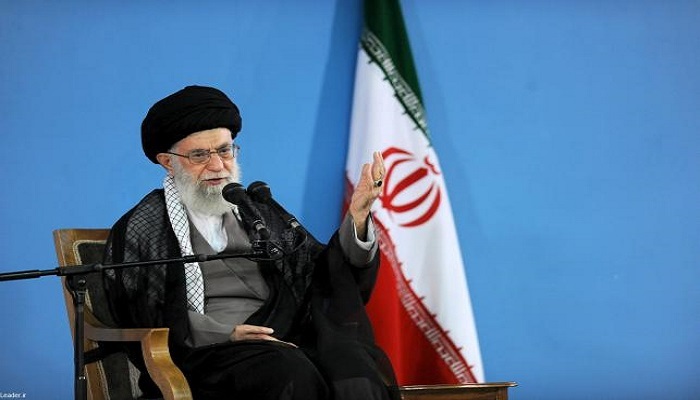 Ali Khamenei, the highest authority in the Iran regime, banned any further negotiations between the regime and the U.S. according to a statement released on his website, firmly putting the brakes to any idea of accommodation or moderation following the approval of a nuclear deal. “Negotiations with the United States open gates to their economic, cultural, political and security influence. Even during the nuclear negotiations they tried to harm our national interests,” Khamenei was quoted as saying on his website. Khamenei had previously said there would be no more talks with the U.S. last month, but this move was a step further in declaring an outright ban on any further discussions on any other topics. The Obama administration, fed a steady stream of misrepresentations and false promises by the Iran lobby – led by the National Iranian American Council – expected a new phase of relaxed, open negotiations with the regime on a variety of issues including the ISIS, the Syrian conflict and sponsorship of terror. Instead, now that the regime has achieved its goals in the nuclear deal – a lifting of economic and military sanctions, preservation of its nuclear infrastructure, delinking of human rights issues and release of billions in frozen cash – the regime sees no other reason to carry on the façade of moderation it has so assiduously pushed since the handpicked elevation of Hassan Rouhani as regime president. In his address to Revolutionary Guards Navy commanders, Khamenei said talks with the U.S. brought only disadvantages to Iran. “Through negotiations Americans seek to influence Iran”, Khamenei was quoted as saying to the IRGC commanders, who are also running much of Iran’s military involvement in Syria. The bill of goods sold by the Iran lobby for hopes of a release of American hostages, removal of Assad and a reigning in of sectarian violence has now come due as Iranian regime’s leadership seeks to make all those promises false. “The White House deliberately downplayed the Russian buildup because it undercut central promises Obama made to Congress about the Iran nuke deal, which was then being debated. “One of those promises was that Russia would help enforce the terms. Instead, Putin actually was making common cause with Iran, and both are now killing the Syrian rebels we supported. But supporters of the regime are still fighting back in trying to hold the line that a force for moderation exists in Iran and is fueled by post-nuclear deal euphoria, rather than the hangover the world is witnessing today. Ziabari pushes the Iran lobby message that there exists within Iran “moderate” and hard line” forces when in fact Khamenei has indelibly proven there exists only one voice on all policy matters and it is firmly his. Even as Iran and Russia join with Hezbollah in launching a new phase in Syria, Iran’s mullahs are busy in other parts of the Middle East, including Yemen, where the Houthi rebels they support have been spotted in Iran getting support and new arms according to Al Arabiya. The Houthi delegation “will convey to Iranian officials an urgent request by Houthi leader Abdulmalik al-Houthi to attain additional shipments of weapons after the Saudi-led coalition forces made several gains against the militia,” according to the report. President Obama’s former national security adviser also warned that Iranian regime leaders have effectively turned Iraq into a “client state” and are bent on exploiting the regional war against ISIS to promote their own brand of Shiite extremism throughout the Middle East. “Iran’s grand strategy entails consolidating the hold it has gained in Iraq — a grip it seeks to tighten, directly and through proxies — and by stoking the sectarian fires,” said retired Marine Corps Gen. James L. Jones. Gen. Jones testified alongside former Sen. Joe Lieberman, an independent, and both men lamented the administration’s failure to provide more assistance and refuge to members of the Iranian dissident group — commonly known in Washington as the “MEK” or “PMOI” — who have been left in the lurch in Iraq since the departure of U.S. forces in 2011. On top of all this, word comes out that cybersecurity researchers have uncovered a network of fake LinkedIn profiles, which they suspect were being used by hackers in Iran to build relationships with potential victims around the world, according to a new report to be published by security firm Dell SecureWorks Inc. This tactic, known as “social engineering,” is one where hackers trick people to get them to cough up personal or sensitive information. “Having those trust relationships gives [hackers] a platform to do a bunch of different things,” said Tom Finney, a security researcher at Dell Secureworks. The 25 fake profiles described in the report were connected to more than 200 legitimate LinkedIn profiles — mostly individuals based in the Middle East who worked in sectors like telecom and defense. Those individuals and their companies likely have information that would be of interest to an Iranian cyber group, Dell Secureworks said. Yes, the post nuclear deal world has indeed brought much change, just not the kind the Iran lobby promised. Passage of the nuclear agreement between the Iran regime and the P5+1 group of nations was aided by a coalition of liberal Zionist groups, progressive organizations and the regime lobbying network, but in the aftermath the fault lines have cracked that coalition and broken it apart as the world struggles with the still unanswered fundamental problem with the Iran regime: How do you restrain its support for terror, proxy wars and sectarian conflict? 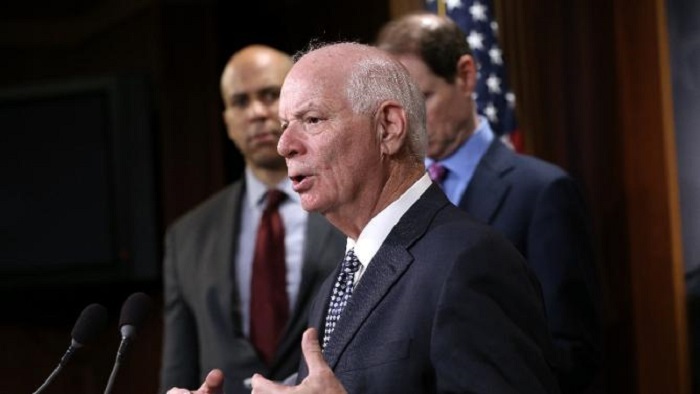 Philip Weiss, writing in Mondoweiss, takes note of efforts by Senate Democrats, most of whom supported the nuclear deal, to offer up legislation that the regime lobby has said contains potential “poison pills” liable to derail the agreement. It’s understandable as many voters are appalled at the downward spiral of events in the Middle East, especially Iran’s newly formed alliance with Syria, Iraq and Russia. Republicans have pounced on recently announced deals by the Iran regime to acquire $20 billion in new jet aircraft and satellite technology from the Russians as evidence the mullahs are more interested in upgrading their aerospace and defense capabilities than in jump starting a moribund economy driven to near bankruptcy by a corrupt government and siphoning of billions to fund three proxy wars. This new “Axis of Terror” has greatly unsettled a world that naïvely thought the nuclear deal would usher in a period of greater stability and moderation. Instead, the world has seen Russia – almost overnight – launch an air campaign in Syria, coupled with a large build-up of Iranian and Hezbollah forces along the Syrian border, bolstered by a fresh influx of Afghan mercenaries paid for by the Iran regime’s Quds Force. Western diplomats said regime officials consistently claim Tehran is open to ideas and discussion on Syria. But they add that Iran’s bottom line, like Russia’s, is that Assad is a guarantor of stability in Syria and they will accept no threats to his rule. But in spite of the sharp escalation in tensions with the Iran regime, the mullahs still seem intent on keeping their economy on a war footing. Agence France-Press disclosed warnings from Iran regime ministers overseeing the economy, industry, labor and defense who warned of an economic collapse. Mohammad Gholi Yousefi, an economics professor at Allameh Tabatabai University in Tehran, said the letter had exposed tensions over the allocation of cash from Iran’s own banks. “Almost half the banks’ resources is practically blocked by the government, special customers and banks themselves,” he told AFP, meaning it is not reaching businesses crucial to the economy and that much of the regime’s anticipated cash hoard is not accessible by middle class and poor Iranians who have seen their purchasing power plummet since 2012 and the local rial currency losing two-thirds of its value. The recent aggressive moves by the Iran regime to acquire new military hardware and boost military forces involved in Syria has been fueled in part by the softening of sanctions even during nuclear talks as claimed by many critics of the nuclear deal. All of these accommodations and acts of appeasing the mullahs in Tehran in the hopes of creating a more moderate Iran regime have come home to roost and borne no fruit other than more war and chaos.